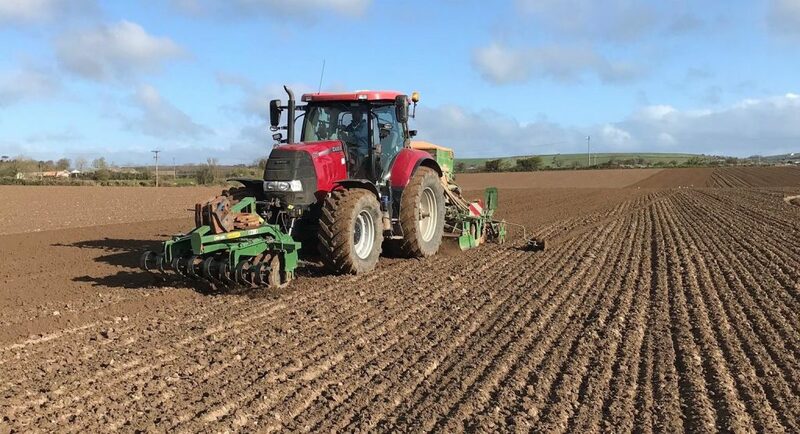 Readers are busy in the tillage fields these days, but are finding time to send in some pictures to AgriLand for #ArableApril. 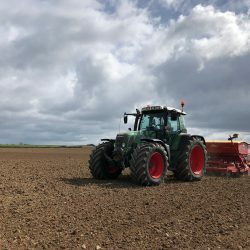 The Irish Grain Growers’ Group (IGGG) started the initiative last week in order to highlight the good work and quality products being produced in the Irish tillage sector. 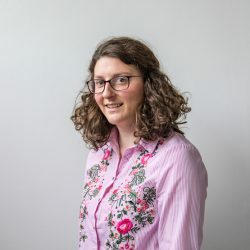 AgriLand is getting involved by asking readers to send in their pictures. 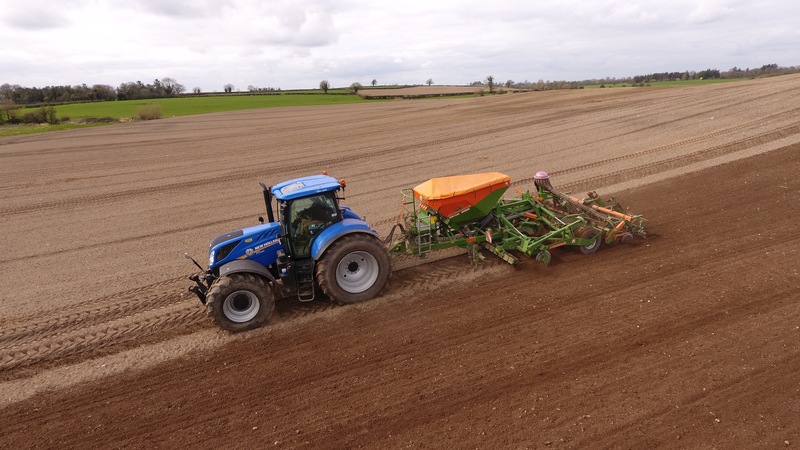 Seán Brophy had some impressive drone footage of this Amazone drill working in Tullow, Co. Carlow. 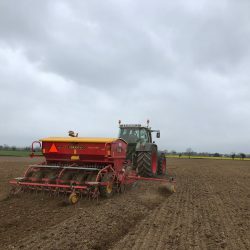 Gangway spring barley was being planted and John Hendricken was in charge of the drill. Luke Thornton tagged #ArableApril on Twitter. 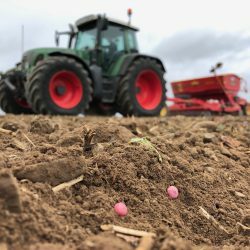 He took some nice shots of Stallion, Kingfisher and Venture spring peas being planted into the ground where sheep had been grazing a cover crop. 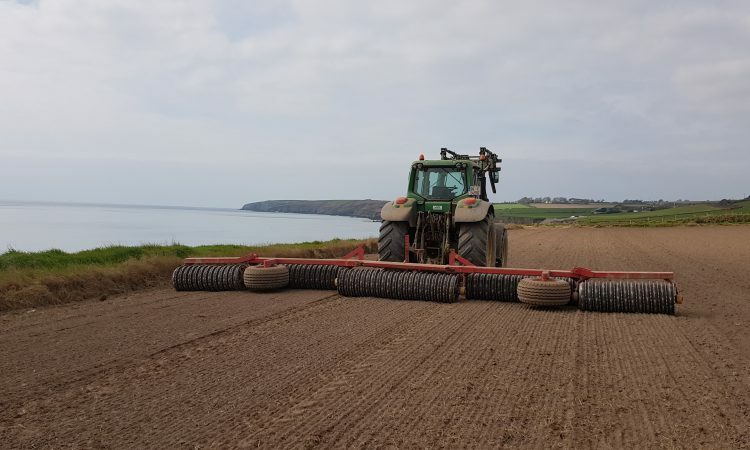 The peas were being sown at a rate of 138kg/ha. 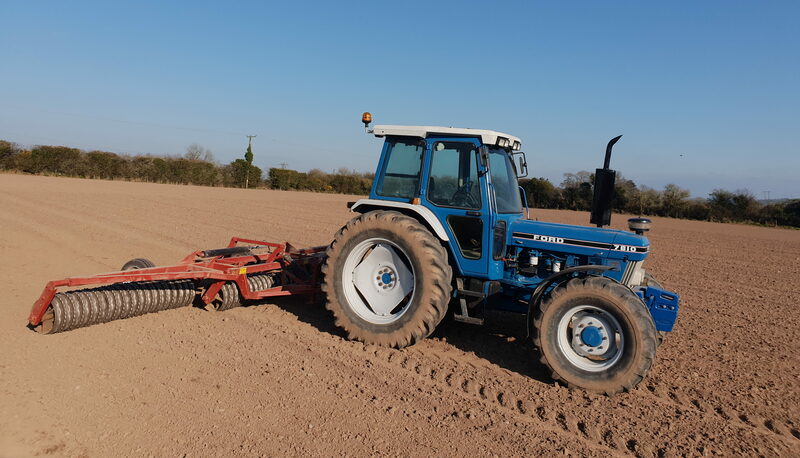 Clive Carter – secretary of the IGGG – was out rolling in Co. Laois. 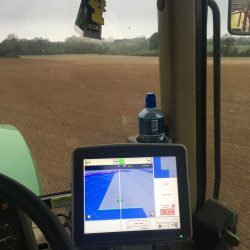 Brian Crowley had a great view when out rolling in east Cork last week as can be seen from the featured picture (at the top of this article). 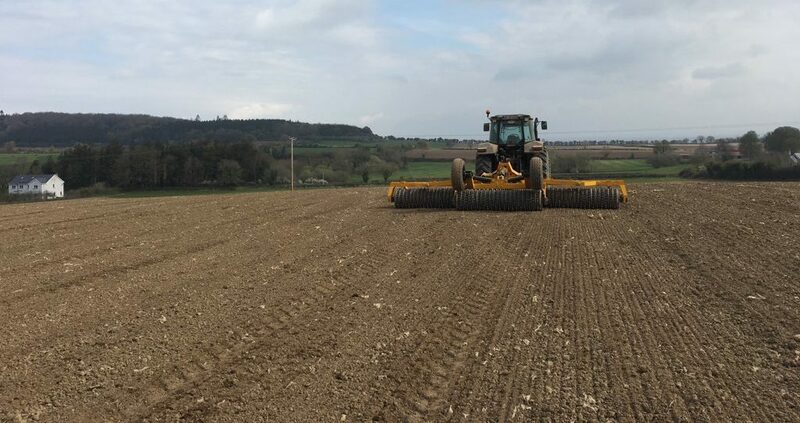 His machinery is also pictured below in the glorious sunshine. John Kearney’s classic tractors were out in force in Castlelyons, Co. Cork. 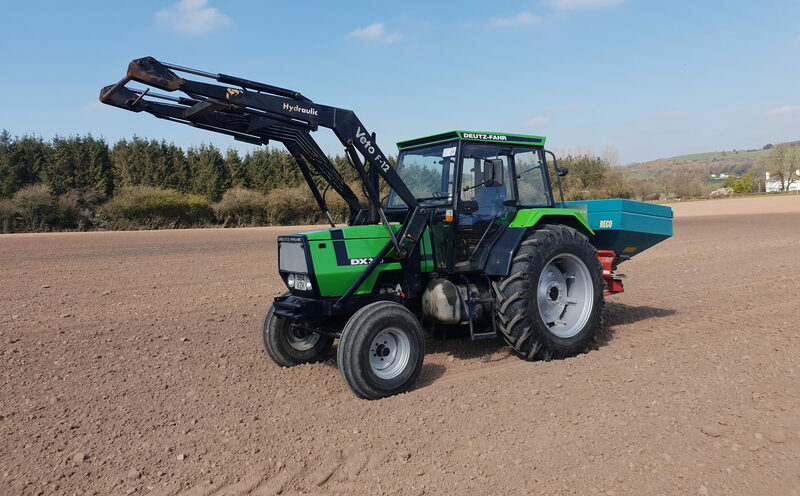 John was spreading fertiliser with his 1986 Deutz-Fahr DX 3.90. John’s 1989 Ford 7810 was hooked up to the ring roller. Laura O’Connell was busy snapping some of her father’s outfit working hard during the week. 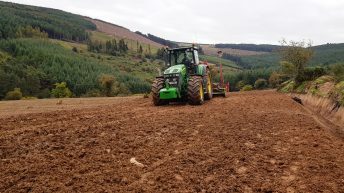 William O’Connell Contractors Limited were ploughing, sowing and rolling in north Cork. 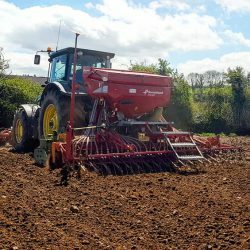 Rob Coleman zero-tilled spring beans into the ground following a seven-species cover crop mixture in Co. Cork. 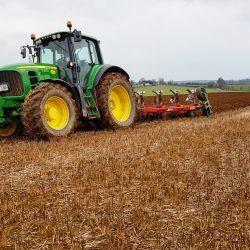 The crop was being rolled in the picture below with a Ford 8970. 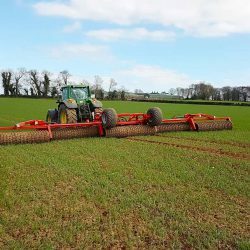 John Flavin was drilling Planet malting barley on Dunnes farm in Shanagarry, east Cork. 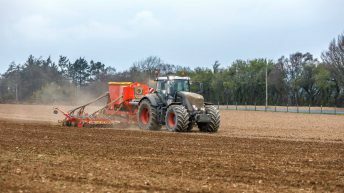 The crop is destined for the Malting Company of Ireland. 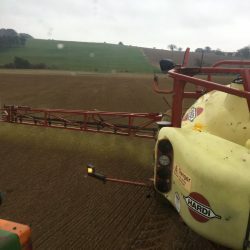 Kevin McCann was spraying pre-emergence herbicide on beans on Monday, April 1, and got tagging on Twitter. He also posted a picture the following day where the weather didn’t quite play ball for the job at hand. 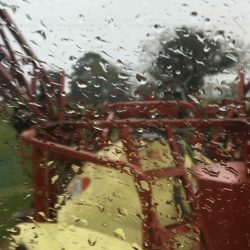 The joys of tillage farming.